Custom Face Towel for Perfume’s On Pack Promo! Head down to Mustafa Centre located at Little India in Singapore to spot this on pack promo offered by Men Only perfume! Simply purchase 4 bottles of Men Only perfume-related products and you are entitled to the custom face towel packed along with it. Hurry up and make your purchase before they run out of stocks! Take a look at the on pack promo package offered at the Mustafa Centre! Offering on pack promos can help boost sales by attracting more people to purchase the whole package. When people see that there are promotional gifts that come along with the products they are interested in, they would definitely be more willing to purchase it. Furthermore, some people may even purchase the on pack promo package just for the freebie in it although they may not have a use for the actual product. To add on, offering attractive marketing gifts alone is not enough to boost sales. The gift should be practical and durable enough to add on to the perceived value. With a higher utility value, people would be more attracted to purchase the on pack promo. Branding is vital in increasing brand awareness for your company. 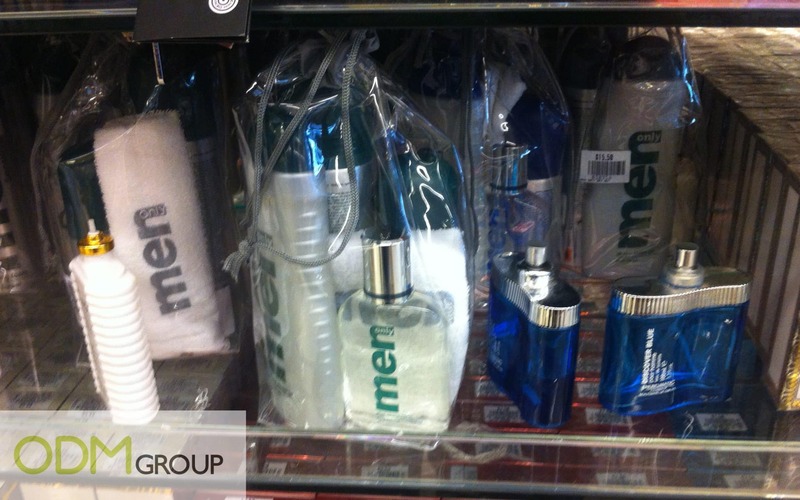 Men Only perfume has branded the custom face towels with their brand logo on it to help boost brand recall. When consumers use the face towels, other people would be able to notice the brand name on it. This way, free walking advertisement is implemented through your marketing gifts! Hence, remember to brand your company logo on your promotional gifts before giving them out to your customers!